I have been meaning to write for weeks, but I have been…umm…busy! Trying to do more than what God expects me to do. Not setting priorities…even in serving others. The Kindergarchy chapter hit too close to home for me, as I find myself SO wrapped up with my children’s (now ages 16, 13, 10 and 8) schedules. Kindergarchy could probably be defined as overparenting, and I dance with it daily. I want what’s best for my kids. I don’t take lightly the responsibility of raising them for the glory of the Lord, and sometimes (as said in my last Letter), my attempts at “better” have only left me more flustered or frustrated, and not the kind of mom I want to be for my children. But sometimes, it is simply “overparenting” that causes us to be overbusy. At a recent neighborhood event, one mom said her chief regret in raising her kids was their playing travel soccer. Not knowing that I was the proverbial travel-soccer mom, she was simply lamenting how busy she had been when her kids were young, just rushing from one city to the next for… soccer. I took her words straight to my heart. Will I regret being a soccer mom? It was a great moment of reflection for me, as I aligned my priorities and analyzed my busyness. Our kids are doing too much. We’re doing too much for our kids. We think our kids’ future lies too much in our responsibility. Kids today have opportunities that didn’t exist in our youth – much less our parents’. My parents were both raised on farms. After starting his day milking cows at 4am, before feeding the hogs, or getting ice from the pond in the valley to carry to the icebox (yep…pre-refrigeration), then walking uphill (both ways, barefoot…in the snow) to the one-room-schoolhouse in Kansas, my father hardly came home to ask if he could join the travel soccer team! But my dad grew up to be pretty awesome, and I wouldn’t mind if any of my kids turned out just like him! Since I don’t have cows to milk, hogs nor an icebox, we have time for activities outside of those! But that doesn’t mean we need all of the activities that are offered. As my neighbor aptly pointed out, travel soccer is time-consuming! Our kids only have one childhood, and I only get one shot at providing for its growth toward excellence. For two of my boys, it has been travel soccer. They have dreams of going big in the sport, and my telling them, “Your chances are slim,” would only solidify that in their minds – for not only soccer, but also any other dream they chase. When they put the mental toughness, physical training, and immense effort into their goals, Chris and I want to reciprocate –even if it means sacrificing some time for travel soccer. However, if I were about to invest a percentage of my income in something, the investment would be prayed about and researched regarding: return on investment, ability to reach goals, cost to invest, comparison to competitor investments, etc. Investments in time should be considered under the same scrutiny. Too often, I hear of people getting tutoring for their 6-yr-old, or putting their 4-yr-old in travel-hockey, or paying big bucks for swim-lessons for the 6-month-old, without considering if the outcome is really worth the investment of time and money. (Yes, I did some of that!) Our kids could end up being pushed right out of the activity that was intended for their good. In my busyness case, I get burnt out of the motherhood I was intending for God’s good. Sometimes our kids are simply doing too much. “Oh, I don’t know what he’s doing for that class. That’s up to him,” her friend replied. Can’t we see that doing too much for our children not only hinders their ability to handle responsibility, but also creates “freaked out” moms who look too busy for the very kids they are trying to help? But being a mom who holds the “It’s not my job; it’s his job,” mentality risks a multitude of embarrassing moments, because our pride is on the line when we allow our children to fail. When they don’t complete a project, I can be embarrassed – but it is worth the short-term embarrassment for the long-term lessons he learns. Failing to bring his soccer equipment at age eight makes less failures at age sixteen. Doing it for our children instead, only takes away their opportunity to learn the lesson. Whether it is because he forgot part of the soccer uniform, didn’t get the intricacies of the history assignment or in some other way missed the bar, I know failure can be the best teacher for the future. Imagine if instead of nagging with a soccer checklist every time, I trusted that he had it. (Once he forgets a cleat, it is never done again.) What if instead of bugging a teacher for assignment details, we let the “to-do list” be in his head instead of ours? We would be left to focus on our own to-do list – to be a mom! Doing too much for them – only makes me busy and takes away from their ability to gain responsibility. Lastly, and definitely my favorite point of the Kindergarchy chapter, we often think our kids’ future lies too much in our responsibility. We try to be the perfect parents: feeding the perfect meals every meal, running to tutors, lessons, leagues, and friends to make the perfect combination of fertilizer for the garden where our children grow. Ha! He is not saying, “Give up on feeding them healthy food;” he is saying we would be better if we stopped freaking out! I try to avoid using these Letters to brag about my kids; I really do. But this lesson I recently learned is too good to skip, although the ending shows I am a bit proud of my daughter (age ten). Let me begin with this: admittedly, I often suffer with the “I stink at being a mom,” syndrome. It’s a sinful, self-centered, lacking-of-faith and lacking-of-gratitude “sin-drome” that requires my refocus on God and His wondrous gifts. One particular day, I was having those negative “I am a failure” thoughts about my mothering my daughter. Her hair was messy…as usual. Her room was too. With the sweetest heart in the world, she runs around loving on everyone, and leaves a path of evidential mess in every room she touches. Her brothers have called her the “tornado,” because you always know where she has been. The violin lessons paid off….NOT. The soccer league she left tried to recruit her back…NOT. The gymnastics lessons she had when she was seven saved her life…NOPE. I cannot draw a turtle. (You never want to be my partner in Pictionary.) I cannot describe shading, much less do it with watercolors. My daughter created that artwork, because, thank God, she was not in a sports league to follow her brothers. She was not in gymnastics because it was what the neighbors were doing. She drew that because she was not too busy to notice the details of a creature, capture them with her God-given eye and express it as a gift of love to me. She made the painting, because God knows her more than I do, and He gave her talents to use for His glory, not mine. I think He can make her the best she can be if I let go enough of who I think she should be. Maybe for her to be the best daughter she can be, her mom needs to be the best daughter (of God) she can be, instead of being the freaked-out-lunatic parent trying to make perfect children. So if I am letting go of “Kindergarchy,” then what do I consider to be most important for being a good mom? They need to see my trust in Jesus… for my life and theirs. They need to see my love for their father, (yes – my husband)…and his love for me. They need to see me sane. The busyness disease can leave “freaked out” parents eclipsing what is most important for their children’s future. No amount of “perfect parenting,” vegan dieting-without-Happy-Meals, travel-soccer momming, music lessons, sports leagues, or homework-“helping” can make up for a lacking in me. Too much busyness can take the life of any priorities in a heartbeat, taking our beating hearts along with it. Delight yourself in the Lord (Ps 37:4)…and let the busyness drown like the Wicked Witch of the West melting under a bucket of water*. Letters to Lindsey is now available in book form. This entry was posted in Health of It, Married Life, Motherhood, Personal Growth, Rooted in Faith, Uncategorized and tagged Chris Brady, Crazy Busy, godly mother, godly wife, Kevin DeYoung, Love and Logic, motherhood, Parenting by Terri. Bookmark the permalink. Terri, I don’t even have words to describe how wonderful and timely this advice is! I want moms everywhere to read this. What an amazing mentor you are to all who are blessed to know you, either in person or through this blog. Oh how I love your posts! If I didn’t know better, I would say you got this topic from being in my house the past few weeks. I appreciate your perspective and love your insight. This blog is so refreshing and encouraging for me. Thanks for sharing, Terri! Great blog! I’ve been feeling like this lately. This is refreshing and encouraging. My oldest daughter did a similar thing. She left a note on our bed for us to read last week when we got home from the Tuesday open. It said “cuddle me when you get home and mom wake me up for a devotion ( in the morning). I love you both very much. You are good parents. Keep reaching for your goals”. Needless to say this made my heart smile and thought okay Lord, I get it. 🙂 From the mouths of babes. Anyway thank you Terri for this blog. Thanks for the great read!! What a great reminder that my kids are really His!! I see me in all of these “moms” and thankfully the way you wrote this article allowed me to read what I was feeling and have felt and make sense of it all. Thank you for using your gifts to God’s glory. I can truly say that I am better because of Letters to Lindsey. Amen to that Tina!!! Great post Terri, I always look forward to your articles 🙂 Thank you my friend! Bravo!! Well thought out and well said. You and Chris should write a book on parenting,,,,when your aren’t BUSY!!! Thank you again Terri! Great advice!! It is so easy for us moms to put our focus on the wrong things in trying to raise “perfect” children or be the “perfect” mom. So important to remember that who we think they should be or what we think they should do doesn’t really matter. God has already designed our children with their own gifts and has a plan for their future. The best thing that we can do is take the time to not be so busy and to help them discover the person God wants them to be. Awesome!! So many great nuggets to apply. thank you for sharing. Your daughter is my daughter! My little “Tornado Rose” is 8 and leaves a messy trail wherever she goes, but can bring a smile to your face in 30 seconds! She cannot stay focused on any extracurricular activity for more than one season, but we know she will find her groove somewhere. 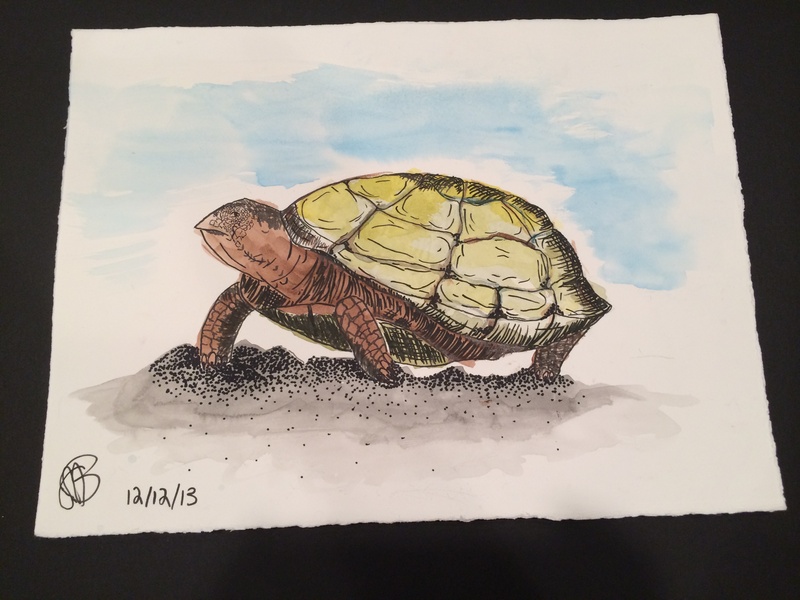 It probably will not be a turtle, though her art is beautiful to me, but…..her leadership, intuition, compassion and confidence will take her far in life. I’m so excited to see it unfold! And the story about the mom and the homework was PERFECT! It made me feel so much better than I don’t watch every assignment or check grades every week. My son is in 6th grade and I believe he has to learn some responsibility. If he is old enough to begin going places without his mommy surely he is old enough to know what his homework is, right?!? This is so wonderful!! Great reminders, thanks so much for sharing. Your daughter is extremely gifted with her art and the picture of the turtle was amazing!! So good!!! This was written for me! Thank you so much for this. This is has been helpful for self reflection as a mother. Being a mother can be so overwhelming at times thank you for helping to remind us what is important.